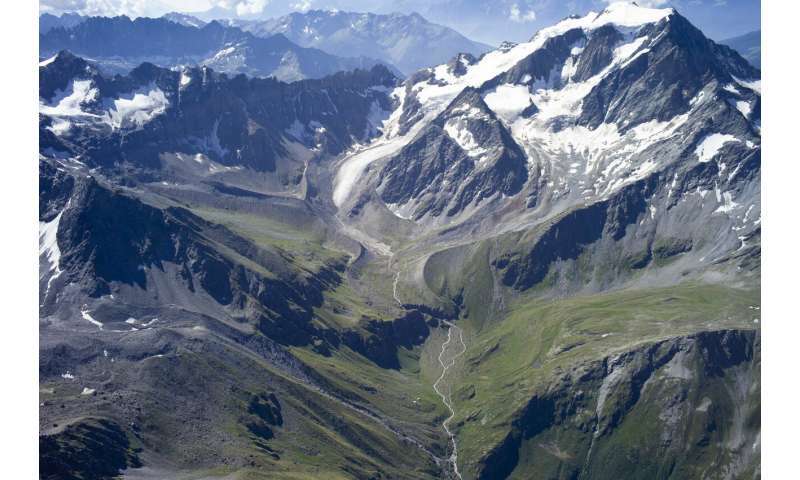 An EPFL study has prompted scientists to rethink a standard approach used to calculate the velocity of gas exchange between mountain streams and the atmosphere. Research conducted in streams in Vaud and Valais indicate that equations used to predict gas exchange based on data from lowland streams undershoots the actual gas exchange velocity in mountain streams on average by a factor of 100. This discovery, published in Nature Geoscience, will enable scientists to develop more accurate models of the role that mountain streams play in global biogeochemical fluxes. Considering that more than 30% of the Earth's surface is covered by mountains, the ramifications of this discovery are considerable. The study was conducted at EPFL's Stream Biofilm and Ecosystem Research Laboratory (SBER), within the School of Architecture, Civil and Environmental Engineering (ENAC). In aquatic ecosystems, such as the world's oceans, streams and lakes, numerous aquatic organisms ranging from bacteria to fish respire oxygen and exhale CO2. These gases must therefore be continually "exchanged" from the atmosphere to the water and vice-versa. Because mountain streams often flow over steep drops and rugged terrain, this creates a lot of turbulence and traps air bubbles in the water, which appear white (aka "white water"). These bubbles accelerate the gas exchange. Strikingly, the same mechanism is at work when white-capped waves appear on the surface of rough seas. Until now, scientists have ignored the contribution from air bubbles and have used the same approach to calculate gas exchange velocities in mountain streams than in calm lowland streams. It is intuitive that the rugged terrain would influence gas exchange in mountain streams, but no evidence had been collected to test this hypothesis until 2016. That's when EPFL researchers installed more than 130 environmental sensors in mountain streams in Vaud and Valais to study this physical phenomena and related biogeochemical fluxes. To measure gas exchange velocity as accurately as possible, one of the SBER scientists and first author of the study, Amber Ulset, added small amounts of argon as a tracer gas to the streams. Argon is a naturally occurring gas that is harmless to aquatic ecosystems. Using cutting-edge analytical methods in the laboratory, Amber Ulseth and colleagues were able to quantify loss of argon from the streamwater. Next, they modeled the gas exchange velocity from the downstream loss of the tracer gas in the streamwater. Their results reveal that the gas exchange velocity in mountain streams is on average 100 times higher than predicted from equations developed from similar tracer gas experiments in lowland streams. "Our findings have major implications. They suggest that we have been underestimating the effects of all the small but abundant mountain streams in our biogeochemical models. This opens up a new research avenue," says Tom Battin, Director of SBER and coauthor of the study. His lab is already looking into extensions of this research, such as developing a new model to predict CO2 emissions from mountain streams worldwide.